The genealogy hobby is certainly not a cheap one so please be prepared to spend some money. How much though is entirely up to you! There will be documents to purchase, subscriptions to pay, and as well there will be genealogy software and other tools that you will need in order to chart your ancestry. This section will explain and explore the many resources and tools that are out there that can help you trace and build your family history. You can use one or more of these resources. Genealogy Resources and Tools To Help YOU! Each of the following sections provides reviews of products and services that will assist you with your research. And there’s helpful guides and tips to be found too! You Can Find Endless Resources! Besides discovering information within your own homes, interviewing your relatives, visiting local archives or the family history society there are many more resources that are available to you. Let’s just take a brief look at each of the resources that are discussed on this site! This ‘new’ area of genealogy research can help you to trace the origins of your ancestors as well as discover distant cousins. Guidebooks are a great way for you to learn how to use a particular site or software, know the basics of tracing your ancestors and show us where you need to look. Magazines also contain valuable guides and tips that are presented by experts in the field. We can certainly learn a lot from them. Similar to magazines there are classes, courses and programs that have been created and are presented by experts. Take one, or any number of these, can help us to trace our roots. These sites contain valuable records that connect us to our family’s past. They give us the clues that we can use to build our family tree. 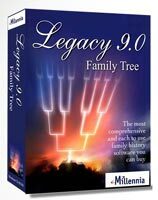 An essential and powerful tool for any family historian which can make our jobs easier as we research our ancestry. Another useful resource that is not only presented by experts but also the amateur family history detective. You can certainly learn a thing or two from these people. Can help you to appreciate your ancestors migration and the distances they traveled to find work. Discover their lives of your ancestors through the pages of an old newspaper. 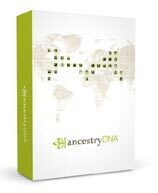 This resource can give you an insight into your ancestor’s live that you cannot find elsewhere. All of these resources are really helpful to you as you find out more and more about your ancestors. Speaking from experience it is best that you understand them so that you can get the most from them. Mmm, kinda wondering do they also work for people living in South East Asia ? The posts on this page will give you some guidance and help, for example What Is A Genealogy DNA test?. Tools such as Evernote will also help you with your genealogy no matter where in the world you are. The advice and resources on this page are more catered for any with European heritage. But as I build this site out more I will be helping out anyone with Asian heritage as well.